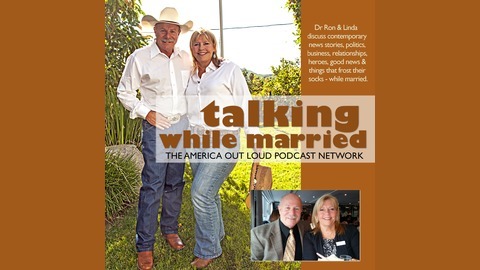 America Out Loud Network © – DrRon & Linda discuss contemporary news stories, politics, relationships, business; The Daily Rant and things that frost their socks! 🎧 What’s the difference between The Wall and Jimmy Kimmel’s Compound? So what’s the difference between Trump’s Wall and late night show “comedian” Jimmy Kimmel’s Hollyweird Compound? Nothing, except hypocrisy. DrRon & Linda discuss the late night talk show host lobby against The Wall; ICE’s arrest and detention of over 158,000 illegal aliens in 2018 of which 66% had prior felony arrests for murder, kidnappings, sexual assaults, drug sales/possession and DUI. 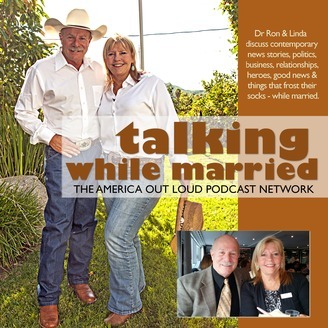 The couple then move on to our withdrawal of troops from Syria, General Mad Dog Mattis’ resignation as Secretary of Defense; First Responder suicides on the rise and new-fangled gadgets for your home in this edition of Talking While Married.